It's a fact of life that computers fail. Hard drives fail. A power surge fries the computer. A virus wipes out your data. A tornado deposits your computer a few miles away (ok, that last one is kind of rare). Not having a proper backup can mean losing days, weeks, or even years of work. Even worse can be when you feel secure due to your backups, only to find, after disaster strikes, that your backups are corrupted and worthless! In this article, we'll discuss proper computer security and data storage procedures to ensure that your important information is safe. It doesn't have to be that way. Media is cheap, and external hard drives aren't all that expensive. You can even purchase online storage at a reasonable rate. Is making multiple backups due to paranoia? Maybe…but do you want to risk not having them? Additionally, having multiple backups gives you more protection against viruses, as if you make one backup at a time, there's a better chance of having a copy of the file from before it was infected. Of course, having multiple backups won't do you much good if they're all in your house when it burns down! Having one of them in a fireproof safe will help (and is a good idea) but for particularly important files, it's a good idea to keep a copy off-site. That could mean stashing a disk in a safety deposit box at the bank, or it could mean utilizing paid data storage online. Using online storage has a couple of advantages. 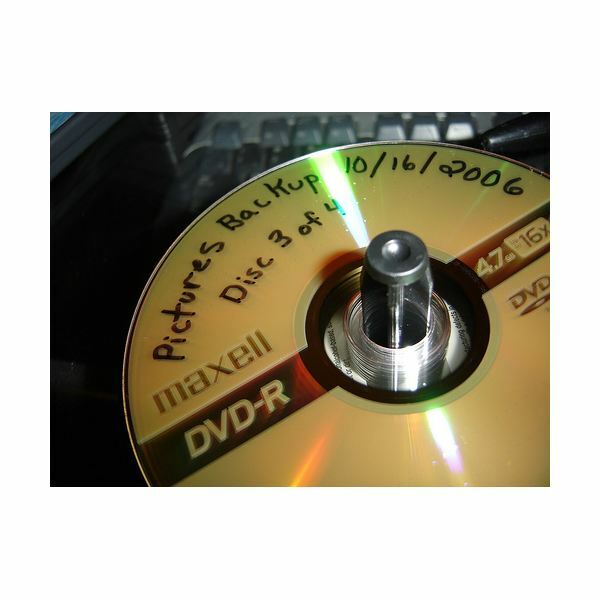 Aside from the obvious – having another backup – the company doing the storage for you probably has redundant backups as well (but check, don't assume), which makes it even safer. Additionally, this protects you from another danger – misplacing all of your backup disks! However, it does open up a new danger – that someone will intercept your private data! Whether it's sensitive information (such as social security numbers or tax files) or just stuff you wouldn't want strangers to see (such as naked baby pictures of your kids), by putting it online you're exposing it to anyone who wants to take the trouble to break in. Even if the company offers to encrypt the files for you, they're still transmitted in the clear, and people at the company can unlock them! Thus, it makes more sense to encrypt the files yourself before sending them, just to be safe. Just don't forget the key! The largest problem with backups is that most people don't do them! Having the best computer security and data storage policies doesn't do you a bit of good if you don't follow them. If you're running a business, you can pay an IT person to manually do backups every week, but if you don't have an IT person, or you're trying to protect your personal files, it can be a pain to remember. Fortunately, there is plenty of backup software that will automate the process for you; all you have to do is set up the schedule and make sure that your computer is turned on and your external drive (or network drive) is plugged in at the scheduled time.